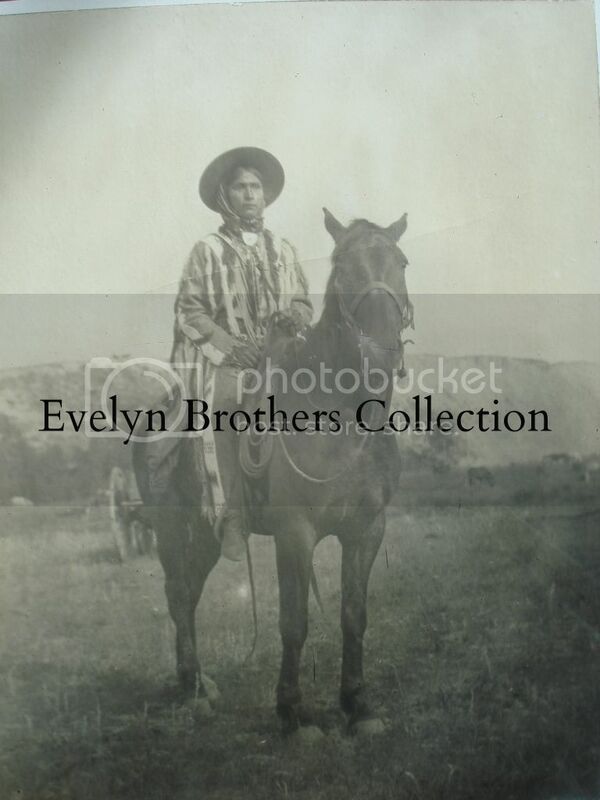 "John Powderface, Stoney Indian 1903" Nakota Nation, Calgary. Canada. 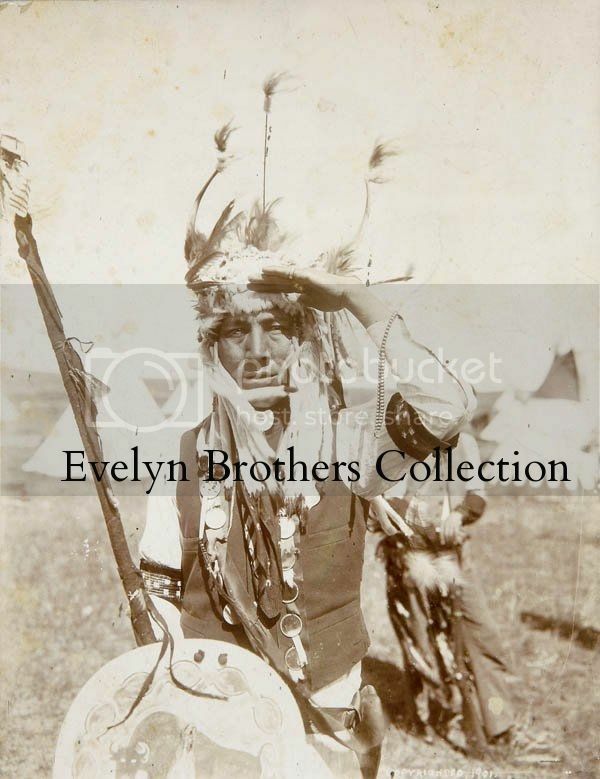 "Edward Blackbird, Indian Police. Fort Belknap, Montana. 1899"
Photograph by J.G. Showell, copyright 1901.